Discover the top RV brands at RV Wholesale Superstore! Your favorite makes from Forest River, Coachmen, Palomino, and Keystone! The Bullet Ultra-Lite, Crossfire, and Premier are easy to tow, modern, and affordable. Get going with the Cherokee, Arctic Wolf, Grey Wolf, Wolf Pack, and Wolf Pup. Including the Catalina, Catalina SBX and Leprechaun. Cedar Creek, Cedar Creek Cottage, and Siverback RVs are our Top of the Line Selections. The Palomini by Palomino is affordable, lightweight, and easy to tow. The Sabre offers luxury, convenience, and comfort. Sierra and Sierra HT RVs deliver high-end features in an approachable package. 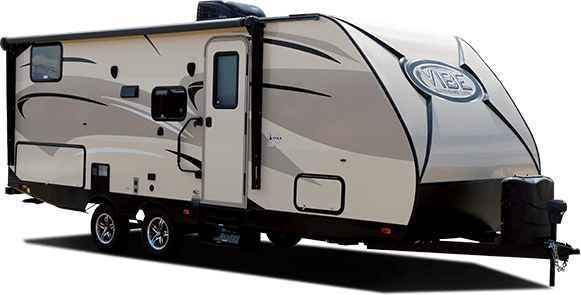 Great value awaits in the SolAire Ultra-Lite and eXpandable RVs. The Sprinter RV has remained popular since 1996. The Vengeance, Vengeance Rogue, and Vengeance Touring Editions are Toy Haulers. The Vibe and Vibe Extreme Lite are affordable and lightweight. Wildwood, Heritage Glen, Hyper-Lyte, Wildwood Lodge, and DLX.